Why Choose Our Driving Experience Gifts? Do you want to give someone an awesome experience for their birthday? 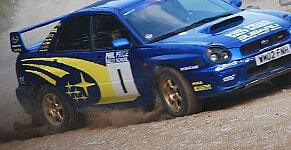 A gift voucher for one of Phil Price Rally School’s driving experiences is guaranteed to get them geared up. At our venue in Wales, they can learn how the professionals do it before getting behind the wheel themselves and seizing control! One of the original members of BARS, we’re dedicated to giving visitors the ultimate driving experience and our genuine forest stages offer stunning views over the Welsh landscape; indeed, they’re so good they’re frequently used for pre-event testing. 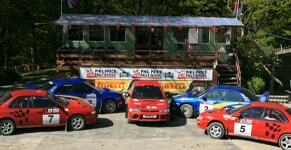 Our One Day Intense Course allows anybody to experience real rally driving at one of the UK’s most awe-inspiring venues. Our professional instructors who can teach them all the techniques needed to compete in this motorsport, from power slides and skid controls to braking and gear controls. Phil Price Rally School’s Driving Day Gifts are ideal for any adrenaline junkie and will give them something to anticipate this summer. Awarded Trip Advisor’s Certificate of Excellence, our Welsh-based Rally School is guaranteed to give your loved-one the best driving day imaginable. Running from 9.30 to 4.30pm, our Driving Days give participants plenty of time in our Subaru Imprezas and culminate in a heart-stopping competition.